Why Do You Need Concrete Core Drilling? Working with concrete involves many different tasks. Here are some situations in which concrete core drilling can make all the difference in completing your job on time. 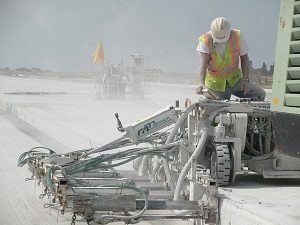 Working with concrete involves many different tasks. As well-trained and highly skilled as your workers are, sometimes, they will need some assistance. That’s when you can put your trust in the concrete core drilling experts at G&M Services. Here are some situations in which concrete core drilling can make all the difference in completing your job on time. Concrete core drilling can make it easier to break up the concrete and reach whatever is underneath. Sometimes, this involves the use of ground-penetrating-radar technology. GPR allows your workers to spot potential hazards or other obstacles that could interfere with the drilling process. The drills used for concrete coring have diamond tips, which enable them to punch through concrete more easily than drills with other bits. There might also be stone and brick mixed in with the concrete. Getting through these materials can be a challenge, especially when the job calls for clean cuts. When using a standard drill, it is possible to make cutting mistakes. While it’s true that the same can happen with concrete coring drills, these drills also allow your workers and technicians to make cleaner cuts in the concrete they are working with; that’s because the core drills follow the edges of the drilled hole. This operation produces far less dust and debris. One of the most important goals of concrete core drilling is to collect samples of what has been removed. The core drill will extract some of the material that has been cut or drilled, which then means you can set the sample aside for further analysis. This analysis can help determine the goals for future projects related to the core sample: for instance, whether further testing needs to be done or any mining can begin. When it comes to concrete core drilling, it is essential to have several different core sizes on hand. It depends on the size of the hole that needs to be made. Occasionally, it makes more sense for a hole to be a few inches wide. However, sometimes the holes need to be much larger – as much as three feet wide. You won’t know what sizes you need unless you consult with the experts who know what to do and what tools to use. This entry was posted on Friday, October 12th, 2018	at 12:56 pm	. Both comments and pings are currently closed.